Our CSIA-Certified Chimney Sweeps use state-of-the-art equipment to inspect and sweep chimneys and vents of all kinds, including those venting wood, oil, and gas burning appliances. While sweeping your system, we ensure that it’s in working order. We look for any problems that could prevent peak performance and recommend what is needed for your system to burn cleanly and safely. When necessary, we use video inspection camera equipment to examine hidden parts of the flue. 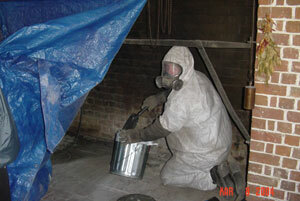 Inspections are performed in accordance with National Fire Protection Association (NFPA) standards. Many modern homes have long dryer vents with several elbows. Highly flammable lint can collect in these vents and become a fire hazard. Does your dryer get extremely hot, and take more than one cycle to dry a load of clothes? You vent may be blocked! Having us thoroughly sweep your dryer vent removes that lint and the associated fire hazard. Your clothes dry faster, wear and tear on your dryer is reduced, and you use less energy!. Chimneys should be lined. The flue liner contains the heat and byproducts of combustion, protecting your home and family from their affects. The NFPA states that if your flue liners can no longer do this they should be repaired or removed and replaced. 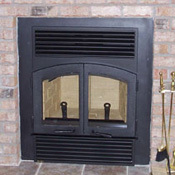 We offer a variety of options to bring your chimney back to life! Fireplace walls can be damaged by heat, too. In days of old, when fireplaces were used for heat and year round for cooking, it wasn’t unusual to rebuild fireplace walls every three to five years. If your fireplace walls are loose, cracked or falling give us a call. We’ll remove and rebuild them!